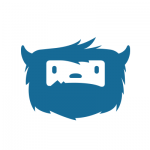 With a relatively easy sign-up, a completely safe and legal platform and some of the fastest deposits and payouts approvals, Yeti Casino is worth to take a look. Players are the casino´s first priority, and they offer a welcome bonus as well as 24/7 service support services for any doubts that may arise while logged in. They are also offered a variety of bonuses¸ including promo codes and free chips to keep you playing and earning money. Want to try your luck in every possible way? At Yeti Casino you can access a variety of online slots and table games such as Roulette, Red Dog, Punto Banco Blackjack, Texas Hold´em, and many more. You´ll find the games ranked in categories such as popular games, video slots, jackpot games, video poker, live casino, table games, and many more. Yeti Casino has a never-ending variety of online games provided by distinguished game suppliers. Over 450 online games can be chosen from in no matter what device you have available at the moment. The platform is 100% mobile friendly and the casino world will be the same as in your computer. All games and slots are driven by a Random Number Generator (RNG) ensuring that each outcome of a bet is completely random. The main goal is for you to experience the same fun and entertainment as if you were in the casino, no matter where you are. Wanting to immediately try out a game? 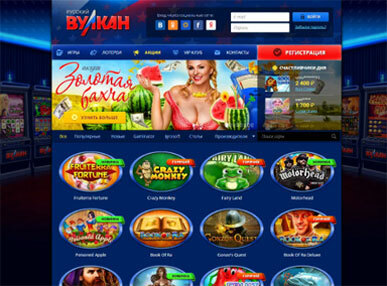 It is possible to play games without depositing any real money (yes, you can play for free). Make sure you're not logged in on the website, then simply load the game you are interested in. Liked the game? Once you sing up, you´ll get 23 free spins on one of the selected video slots and a welcome bonus of 100% up to $333. Yeti Casino is a 100% legal, safe and reliable online casino. It has two online gaming licenses: the first one from MGA (Malta Gaming Authority) and the second one is UKGC (United Kingdom Gambling Commission) which makes them a legal online gambling casino in the European Union and Canada. Besides the licenses held, they offer applied encryption technology, constant monitoring, and audits from private companies, as well as a secure connection for financial and information transcriptions. Don´t forget the Random Number Generator for transparency in every single game that is played. Your money and gaming experience will be safe-guaranteed. Every casino is rated based on the player’s experience in gambling and service. For Yeti Casino, the ratings are relatively good. Payouts are under 24 hours, however they do not offer weekend payouts. The withdrawal limits are €5000 per day, and 24 hours must be wait before withdrawing more money. The casino has a support team available 24/7 through phone, online chat or email and they encourage communication with the client. Because the players are their main priority, staff is going to be at your service for any doubts that arise during your experience. Yeti Casino is one of the coolest choices to play games and spin slots online. Great games and promo codes, one of the fastest payouts online, a friendly and relatively easy to sign in, compatible with mobile phone platform, and other great pluses are waiting for you. With honesty, integrity, and transparency, their goal is to make the player a top priority and leave you with an unforgettable experience at Yeti Casino that will have you coming back for more.